We write about this so much, but it is on our minds because it seems as if this time of year we always get cases reported. Most often it is an older dog, who died, but there have been several cases of bloat in young dogs. In some past cases owners have called to say they knew immediately what it was because we write about it so much. Probably most of us are tired of reading the symptoms, but if one new reader notices and can save a dog, it is worth my taking the space here. In the case of the older dog, the owners have wasted time calling to ask if I thought they should call a vet. In bloat cases, time is so important! A dog going into bloat is uncomfortable. He cannot lie down for any length of time, and he is restless. He may try to vomit or to defecate, and he may throw up small quantities of fluid and bile, but he cannot relieve the gas which is filling his stomach. Many dogs, even stoic Komondors, will whimper or cry out in pain. If you feel the stomach, it will be getting hard and tight. This is an emergency situation. 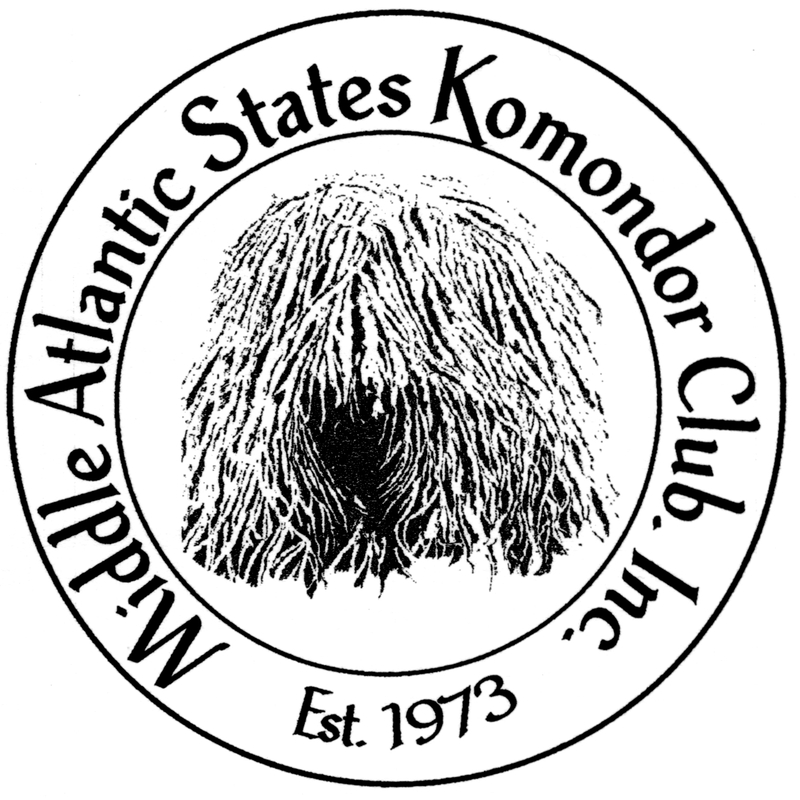 We cannot stress too strongly that every Komondor-owner should know where to take their dog in an emergency. That means you should find out where there is an emergency clinic that is open all night and on holidays and also be sure you know how to get there BEFORE you need it. If your dog gets bloat, he needs IMMEDIATE attention, and it somehow always happens in the middle of the night or during a snowstorm, etc.., and you are just plain better off knowing where to take him. Ask your vet for advice on this. Most such clinics are used to handling bloat cases, which may not be true of your vet. Have the phone number in a place where you can find it quickly. If bloat occurs, call ahead and say you are on your way. This will give your dog the best possible chance to survive. Untreated bloat is fatal. It is a painful death. On a more cheerful note, though an operation is always expensive, at least the prognosis is now very much better than it used to be. This year a 12 year old Komondor who had bloat which resulted in a lot of damage to internal organs still made an amazing recovery. Monitoring the heart is perhaps the most critical thing that emergencies clinics can now do quite routinely.